You can use the buffer to enlarge the original polygon up to about 80 meters. This feature can be useful to include residential areas near the edges of the polygon. Isodistances with Fastest Routing option. You can check this option for isodistances/motor vehicle. Without this option the shortest path will be calculated, all route will be taken. Checking this option the fastest route will be taken and the polygon will be smaller, this is because usually the fastest roads are longer than the other roads. We suggest to use this option for transport planning. Street-Network view . You can display the street network instead the polygon. Below an example of 6 minutes motor vehicle. Depending on your parameters you will have up to ten ranges of distances. All street segments belonging to a range will have the same color. Street-Network view is subject to limitations: distances and countries. Isodistance is a polyline of equal distance from a given point. With Iso4App you can draw up to 500 kilometres isodistances. 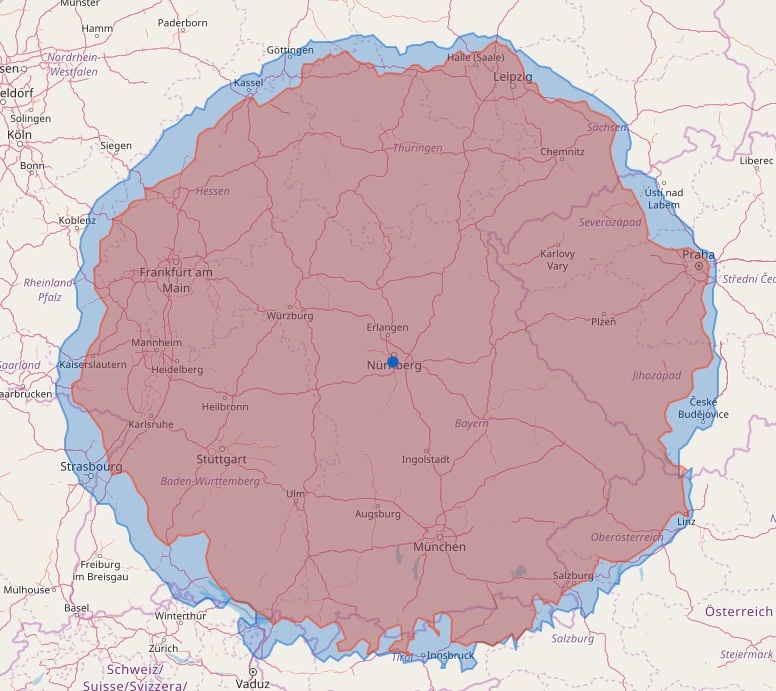 An isochrone is defined as a line drawn on a map connecting points at which something occurs or arrives at the same time. In transportation planning isochrone maps are commonly used to depict areas of equal travel time. With Iso4App you can draw up to 5 hours isochrones. 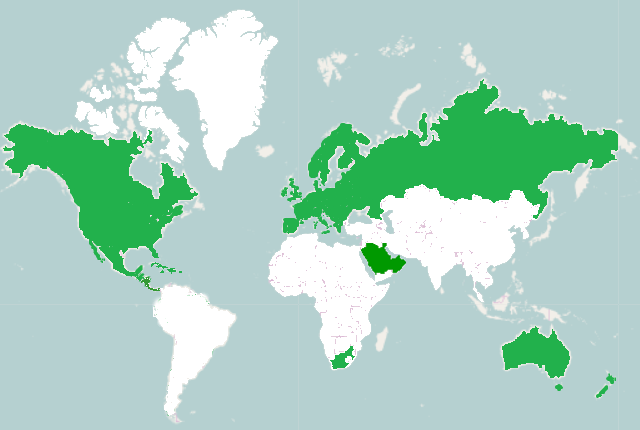 If your country is not covered by iso4app and you are interested in using our API, please contact us. Poi clustering gives you a way to group your POI on clusters based on their distance or time from a starting point. Usage suggestion: using this service you could apply a fee to your customer during the online food ordering. Do you see any circles that can well approximate the isochrone? Look to the future. Stay one step ahead! We can provide reports on PDF files based on our isolines. An example is the Catchment Area Report for showing the dominant position of the relevant geographic market of your Company. For each location name and full address are required, others attribute data can be added for showing on the report. The screenshot above show you two examples of thematic map: Italian Population and England/Wales population, as you see you can have: the total value, a value for each element on grid, a value for each administrative boundary. From OSM: Accomodation, Amenity, Education, Food, Health, Bank/Exchange, Shop, Sport, Tourism, Transport. From ISTAT census 2011: Italian Population and Italian Average Age. From MEF declaration 2017: Italian income. From ONS UK census 2011: England/Wales Population and England/Wales Average Age. More information on thematic map and data source. Our company specializes in providing GIS solutions. If you prefer we can collaborate with you in integrating our APIs into your application, in addition we can help you to implement fully GIS based applications or GIS based ad-hoc components. 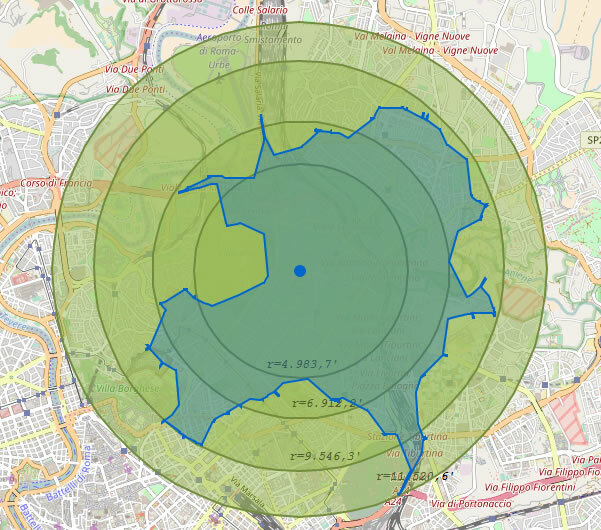 We have implemeted an Android Free App to show you how an isochrone can be used in real applications. PLACEXPLORER detect your position finding your preferred places near you. 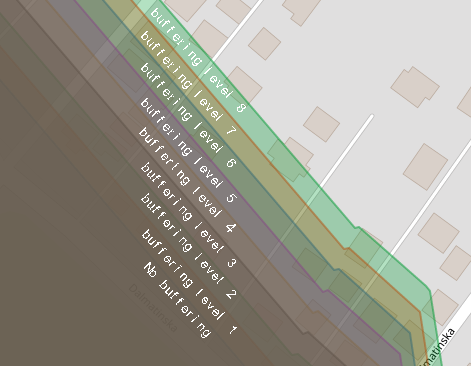 There are many applications that offer this feature, but none is as precise as PLACEXPLORER. We suggest to use our isochrones and stay one step ahead of others. If you want to play around with the Iso4App API and see all the features in action, we have built a demo app for you to try out everything. Total ban on fast-food outlets within 400m of London schools, Mayor Sadiq Khan to announce. The question is: how to calculate correctly the 400 meters walking around a school? Answer: use iso4app service as showed into the animated image. You can study the reachability in time or distance from a given starting point. In the example the pedestrian reachability from the center of Rome at intervals of 2 minutes. Within your isoline you can represent a statistical indicator. Suppose you have to open a new store and that you have the demographic data of your region. You can represent your demographics within your isoline. In the example a thematic map within an isodistance starting from the Italian ISTAT demographic data of the last census. Suppose you want to know the gas stations that you can reach by car in less than 3 minutes. If you have the POI database you can use our isolines to provide this type of service to your users. You can use Iso4App also on ArcGis Online platform. Below you can download the Iso4App widget that you can include in your ArcGis application. 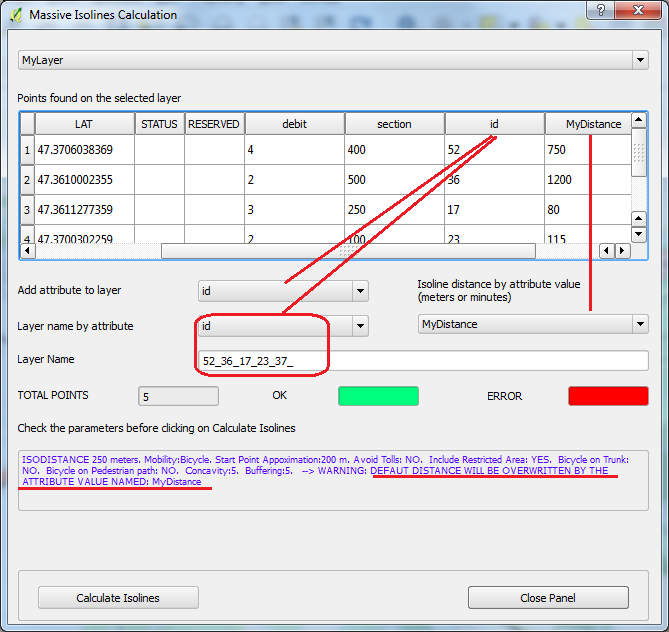 How to calculate massive isolines from multiple points contained on your own layer. An example of layer (MyLayer) containing points. 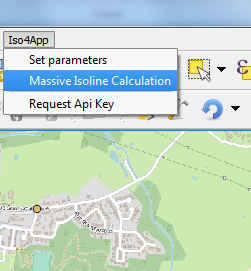 From iso4app menu select Massive Isoline Calculation. From the opened panel select a layer (in this case MyLayer). You have a Layer points list. For automatic layer name based on attributes value select an attribute from the combo, otherwise write your preferred layer name. In addition you can: 1) select an attribute to add, for each polygon, in the attribute tables; 2) use your attribute as a distance (it will be read as meters for isodistances or minutes for isochrones). The attribute table of the new layer. Since this API makes requests to the Iso4App Webservice you need to register to get your API key. The API key has a limited number of credits and you can use it for development purposes only. If you like the service you can purchase more credits. Is available also a rest api click here for more information. - concavity parameter, specifying this parameter you can have less or more points on the resulting polygon, from a convex polygon to a detailed concave polygon. - bicycleOnPredestrian parameter, specifying this parameter bicycles can go on pedestrian areas. - buffering parameter, specifying how to buffer the resulting polygon. - restrctedAreas parameter, specifying if want to include restricted access areas. - pedestrianAnbBikeOnTrunk parameter, specifying if want to include trunk ways for pedestrian and bicycle. - fastestRouting parameter, specifying, for isodistances/motor vehicle, if want to use fastest routing instead all routing. In order to use iso4app API you have to specify an API Key (YOUR_API_KEY). After the registration in the iso4app web site we send you a key with a limited number of credits; you can use it for development purposes. Engine(toolbarDiv? :Node) Create a new Engine object. type if you need an Isodistance specify a Distance. If you need an Isochrone specify a Time. See iso4app.Distance and iso4app.Time classes. maxdist maximum value (in meters) of approximation used in the identification of the nearest point of your input point. Default: "100"
speedtype speed type. See iso4app.Speed class for the allowed values. Default: iso4app.Speed.NORMAL. You can use it for isochrones. speedlimit maximum speed you can reach. You can use it for isochrones. reducequeuetime specify "1" if you want iso4app considers less time waiting in lines. Default: "0". You can use it for isochrones. avoidtollways specify "1" if you want iso4app does not considers toll roads. Default: "0"
fastestrouting specify "1" if you want iso4app considers the fastest routing instead all routing. You can use it for isodistances/motor vehicle. pedestrianandbikeontrunk specify "1" if you want iso4app considers trunk roads for pedestrian and for bicycles. Default: "0"
bicycleonpedestrian specify "1" if you want iso4app considers pedestrian areas for bicycles. Default: "0"
Isoline object returned from the engine getIsoline method. Start Point: when you give iso4app an Input Point it looks for the nearest point having an isoline associated to it. If the "as the crow flies" distance between "input point" and "start point" exceeds the maxApprox values, iso4app returns an error. way String The name of the road of the start point. This information is not always provided. In case of road intersections, only one name is returned and not all the names of the streets that intersect. Constants used to indicate distance values. If you need to use other values, for example 2857 meters you can use directly the string "2857m". Constants used to indicate time values. If you need to use other values, for example 1354 seconds you can use directly the string "1354s". Constants used to indicate travel type values. Constants used to indicate speed type values. Constants used to indicate the concavity of the resulting polygon. Higher value you set, more polygon points you get. Constants used to indicate how to buffer the resulting polygon. Higher value you set, more buffer size you get. The value in meters are indicative only and may vary depending on the resulting polygon. A request to the Iso4app API includes the basic elements shown in the following table. Path /rest/1.3 The two digits of the service version ensure that backward incompatible changes force a change in the URL. The old version is maintained for a defined period of time. Resource isoline Support only GET. In addition you have to specify the parameters below. value Isoline value Integer Number of seconds for the isochrone. Default value is 5. The value 0 means convex polygon. Higher value you set, more polygon points you get. Default value is 0. The value 0 means no buffering. Higher value you set, more polygon buffering you get. Below a sample call for an Isodistance. The API returns a top-level "isoline" element as the answer to a isoline resource. <polygons> Collection of <polygon> object that identify the isoline. In the json format the returned object corresponds to the isoline object. The information are the same presented in the xml format. In json format the polygons collection contains a variable number of polygon object; every polygon object has its exterior and interior property (see note [*]). Every ring is represented as an array element. 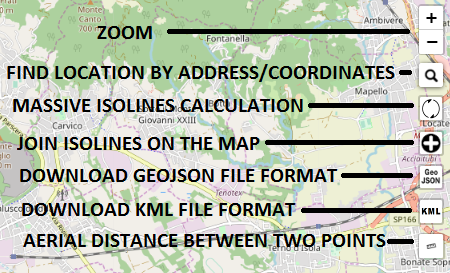 The geojson isoline is expressed as a FeatureCollection. There are three features: input point, start point and isoline. The geometry object of the first two properties is a Point while the geometry for the isoline representation is a Multipolygon geometry object (see note [*]). The properties are the same properties discussed in the XML RESPONSE section. [*] Iso4app will provide more than one polygon and the interior ring only in the future, when public transport isochrones will be available. Iso4app rest API supports the standard HTTP status codes. Poi clustering limitation: free Api-key is limited to 20 poi. Paid Api-key is limited to 200 poi. Resource poiClustering Support only GET. Below a sample call for a Poi Clustering. The API returns a top-level "poiCluster" element as the answer to a poiClustering resource. In the json format the returned object corresponds to the poiClustering object. 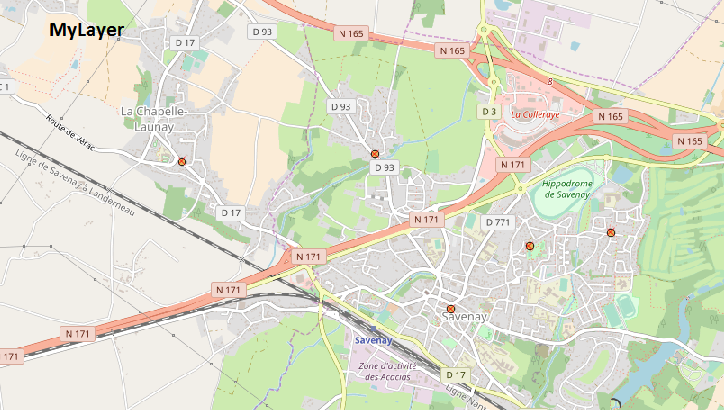 The geojson is expressed as a FeatureCollection. There are five features: input point, start point, one or more cluster and one or more poi. maxApprox maximum value (in meters) of approximation used in the identification of the nearest point of your input point. Default: "100"
reduceQueueTime specify "1" if you want iso4app consider less time waiting in lines. Default: "0"
avoidTolls specify "1" if you want iso4app does not consider toll roads. Default: "0"
If you prefer you can use the iso4app toolbar in your GUI. Using iso4app toolbar is simple, you have to create a DIV element and obtain a reference to this element in the browser's DOM. When you create the iso4app Engine you'll pass the DIV reference to the constructor. In this case when you'll invoke the method getIsoline() you have to provide only latitude and longitude of your point; iso4app will read the other parameters directly from the toolbar. Path /rest/1.2 The two digits of the service version ensure that backward incompatible changes force a change in the URL. The Iso4App API is currenlty available in the countries presented in the table below. Please contact us at if you need another one. If you use the demo API Key 87B7FB96-83DA-4FBD-A312-7822B96BB143 you can ask for 10km isodistances and 10 minutes isochrones. This API Key is used in the demo page, and you can use it for development purposes. After registration we give you a personal API Key by which you can ask for every type of isolines; you can use it in the demo page or for development purposes. This API key is limited in credits and time. You can extend your API Key purchasing new credits. 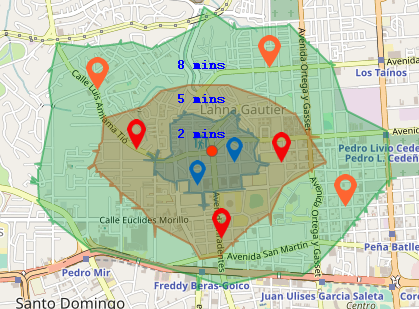 - ISOCHRONE AND ISODISTANCES with OSM category: isoline credits are multiplied by 4. - ISODISTANCES with ISTAT or MEF category: isoline credits + 10 credits + 4 credits every 500 meters. - ISOCHRONES MOTOR VEHICLE with ISTAT or MEF category: isoline credits + 10 credits + 4 credits every minute. - ISOCHRONES BICYCLE with ISTAT or MEF category: isoline credits + 10 credits + 3 credits every minute. - ISOCHRONES PEDESTRIAN with ISTAT or MEF category: isoline credits + 10 credits + 2 credits every minute. On our Online App when the parameters panel is opened a credits calculator will be showed. - Basic plan start from 2000 credits at fixed cost. - After 2000 credits you pay according to consumption. - You can choose the monthly limit. - Start from 2000 credits. - You can recharge it at any time. - After the expiration your API-Key will be stopped, however the ramaining credits will be valid and usable after a recharge. Options and prices available after registration! Disposable email address are not allowed. We can remove it at any time. One click hundreds of trips! 1.How many isolines can be requested using the demo page? There is not a fixed limit, however this page is only for demo and test purpose, so we can stop users that are requiring too much isolines. 2. How many isolines can be requested using the free personal API Key? The free personal API Key expires in one month and you have 1000 credits. Paying a fee you can upgrade your personal API Key. 3. How can I check the number of remain credits? 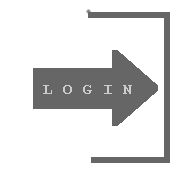 You can login on iso4app using your registration data. 4. I wish to get a travel time map for a truck that cannot go over 80 kmh, how can I do ? Yon can use the following parameters: set the Travel type to Motor vehicle, the Speed limit to 80 and the Speed type to low or very low. 5. I wish to get a travel time map for an e-bike, how can I do ? Yon can use the following parameters: set the Travel type to Bicycle, the Speed limit between 25 and 40, the Speed type to Fast and check Reduce queue time. 6. I wish to get a travel time map for a marathon runner, how can I do ? Yon can use the following parameters: set the Travel type to Pedestrian, the Speed limit between 10 and 20, the Speed type to Fast and check Reduce queue time. 7. I wish to get a travel time map for a moped, how can I do ? Yon can use the following parameters: set the Travel type to Motor vehicle, the Speed limit between 30 and 45, the Speed type to Fast and check Reduce queue time. 8. I wish to get a travel time map for my car at speed 200 kmh, how can I do ? You cannot have this travel time map. When you set the Speed limit parameter the system use it to reduce the permitted road speed limit. You cannot increase the permitted road speed limit. 9. I wish to get a travel time map for an elderly person who goes on foot, how can I do ? Yon can use the following parameters: set the Travel type to Pedestrian and the Speed type to Low or Very Low otherwise you can use the Speed type to Fast and set the speed as you wish using the parameter Speed limit. 10. 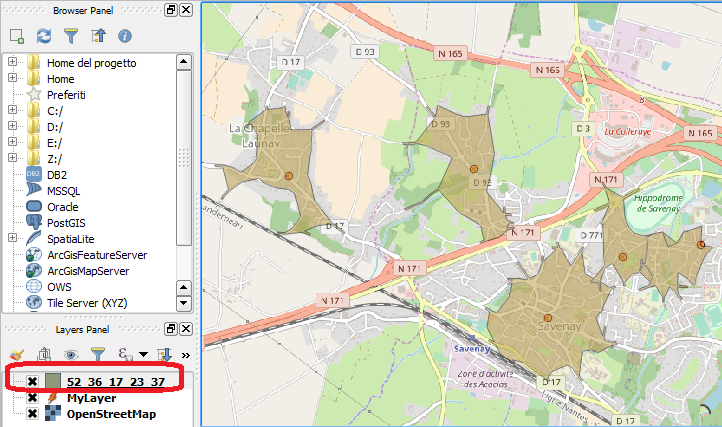 About the travel time map, how does work the parameter Speed type when tha value is Fast ? The Fast value work as follow: for Motor vehicle you can travel at the maximum speed permitted for the road; for Bicycle you travel at the 40 kmh speed;for Pedestrian you travel at the 20 kmh speed. For Bicycle or Pedestrian we suggest to reduce the speed setting the parameter Speed limit. 11. Using the demo page I have to use prefixed distances value (i.e. 20 km, 25km); it is possible to use a custom value i.e. 22km ? 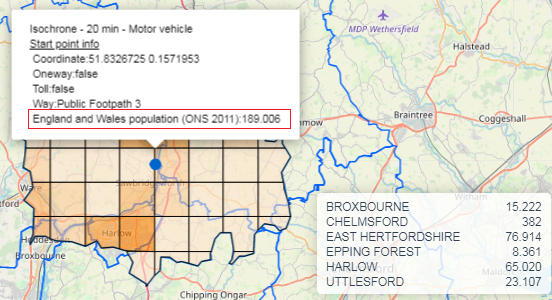 Yes you can use a custom value for Isodistances and Travel Time Map (Isochrones) using directly our API by your APP. This end user service license agreement ("Services license agreement") is a legal agreement between you (the "End User" or "You") and K-SOL S.r.l. The terms of this services license agreement are intended to govern the use of our isolines services (Iso4App). If you do not agree to all the terms of this services license agreement, we are unwilling to provide you with the services and you must not use our services and you will have no right to access or use our services. If for any reason you have already used our services and you have stored isolines data and no longer agree to all the terms of this data license agreement you must remove all the data you have stored. In exchange for a fee, you can use Iso4App services for a period of time and for a number of requests. You can use Iso4App service free of charge only for test purpose and with the limits below. 1. Freemium without registration: you can ask for 10km isodistances and 10 minutes isochrones. 2. Freemium with registration: you can ask for every type of isolines. Your API key is limited in credits and time. B. Substitute service. You must not attempt to create a substitute or similar service through the use of or an access to the iso4app service. You cannot publish a general service layer to show isolines on other applications. Our service must be used on a specific end-user application. We may collect informations such as, but not limited to, an end user's ip address, requests, time of submissions and the results returned to the user, in connection with transaction requests to the services. Subscriber uses the services at subscriver's sole risk. The services and content are provided on "as is" and "as available" basis. Unless otherwise explicitly stated, the services or content on the iso4app web site is not intended for use in any mission critical applications. Iso4app disclaims all implied conditions, representations, and warranties of any kind, including any implied warranty of merchantability, fitness for a particular purpose, or noninfringment. Iso4app makes no representation, warranty, or guaranty as to the quality, suitability, truth, accuracy, or completeness of any of the services or content contained on their web sites. E. any errors in the services, software, data, or information will be corrected. 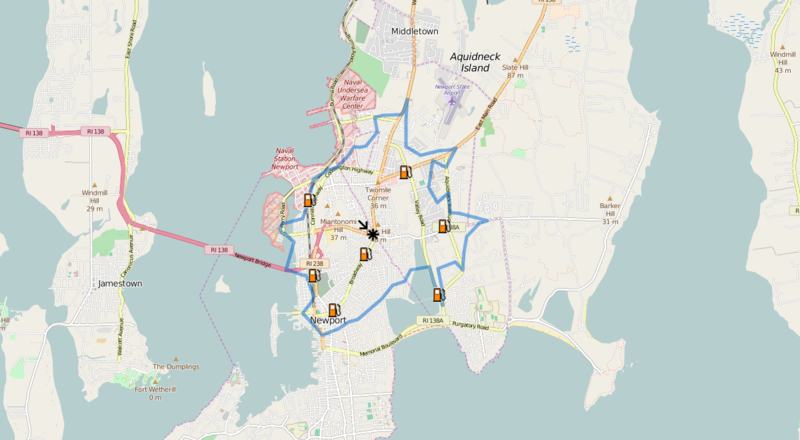 Contains information from Geofabrik Openstreetmap, which is made available here under the Open Database License (ODBL). Copyright © 2019 K-SOL S.r.l.